The CIA is releasing hundreds of thousands of documents, images, and computer files recovered during the May 2011 raid on Osama bin Laden’s compound in Abbottabad, Pakistan. The newly-available material provides invaluable insights into the terrorist organization that struck America on September 11, 2001. FDD’s Long War Journal has advocated for the release of bin Laden’s secret cache since 2011, arguing that such transparency would help to better inform the American people, experts and policymakers. Today’s release goes a long way toward satisfying that goal. We applaud the CIA and Director Mike Pompeo for making this material available to the public. While the world has changed dramatically since the al Qaeda founder’s death more than six years ago, many of the files are still relevant today. Indeed, the CIA has withheld an unspecified number of documents for reasons related to protecting national security. We don’t doubt that some documents are still sensitive, but we hope that everything can be eventually released. Al Qaeda has survived more than sixteen years of war. The group has failed to execute another 9/11-style attack inside the US, despite bin Laden’s continued desire to bring mass terror to America’s shores. Numerous plots have been thwarted by counterterrorism and intelligence professionals. And bin Laden’s organization has suffered setbacks, including the loss of key leaders. But al Qaeda has adapted and in some ways grown, spreading its insurgency footprint in countries where it had little to no capacity for operations in 2001. The newly-released files help to explain how al Qaeda groomed supporters everywhere from West Africa to South Asia. The Abbottabad repository confirms that bin Laden was anything but retired when US forces knocked down his door. He was not a mere figurehead. During the final months of his life, Osama bin Laden was communicating with subordinates around the globe. Recovered memos discuss the various committees and lieutenants who helped bin Laden manage his sprawling empire of terror. In fact, al Qaeda’s network was a great deal more cohesive than was widely suspected in May 2011. 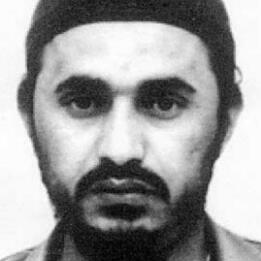 Groups such as Al Qaeda in the Arabian Peninsula (AQAP), Al Qaeda in the Islamic Maghreb (AQIM), and Shabaab (in Somalia) regularly sought and received the al Qaeda master’s direction. Other organizations, such as the Pakistani Taliban, are featured throughout the documents as well. And al Qaeda continued to maintain a significant footprint inside Afghanistan, relocating personnel to the country in 2010 and fighting alongside the Taliban. Bin Laden wasn’t always pleased with the course his subordinates pursued and his men debated a variety of matters internally. The al Qaeda master sometimes instructed his followers to hide their allegiance to him, calculating that it would cause additional problems if their fealty was acknowledged. The al Qaeda founder also viewed the world through a conspiratorial lens, often misjudging his main adversary: America. However, bin Laden kept up with current events and studied America’s approach to the wars in Afghanistan and Iraq. One of his minions even translated sections of Bob Woodward’s 2010 book, Obama’s Wars, so that he could understand the Obama administration’s strategy for those conflicts.